The internet seems completely enamoured with the concept of infographics these days, and with good reason. Featuring virtually any sort of information you can imagine, infographics help us understand broader, complex concepts by boiling down all the vital information and statistics into one, easy-to-read solution. Still, not every infographic finds itself being loved and shared by the masses, so what exactly is critical to its success? We will be outlining the five most important traits any infographic should have if it wants to be taken seriously by the public at-large. One of the biggest mistakes someone can make when designing an infographic is selecting a topic on which there is not a load of interesting data and statistics. The density of data in these presentations is vital to its success; infographics’ main appeal is that they present a plethora of information in a condensed format that can be absorbed quickly. 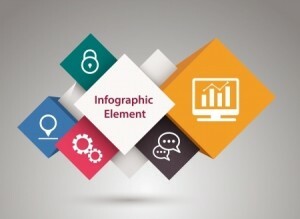 While some use infographics as a way to constantly be pinging services and information about their products and offers, it will not be popular unless there is a good amount of correlating – and interesting – data to support the premise. Those who fail to take this into account will not have a pleasant reception of their infographics. Not all infographics do well because, well, not all infographics are based on subjects of interest. If you pour your heart and soul into an infographic depicting the data and results behind tooth decay, for instance, you probably should not expect a huge audience to flock toward it. Using search engines to determine the latest trends, it is a good idea to build an infographic around a currently-trending theme that is sure to pique interest. While data density is a key metric by which all infographics are measured, you do not want to be adding data for the sole sake of adding data. An infographic will have lots of information that is directly relevant to the subject, but too much information may overwhelm the reader and make them less likely to share the infographic with others. Keep it simple yet informative, and avoid cramming every piece of data into the project. Those wishing to utilize pinging services to get their infographic as much attention as possible should first be sure to not inundate nor spare when it comes to the amount of data and the overall size of the infographic in question. By striking a decent balance between too much and too little, you can keep the attention spans of your readers while also being sure that you have presented enough information. Most infographics are designed with one reason in mind: to get more attention for the website or project that created it in the first place. You are absolutely encouraged to include who created the infographic and where to find out more about the subject or the creator, but avoid making overly-suggestive plugs within the infographic itself. If you plug without these considerations, then your infographic’s potential will be severely stunted.